Jordan Brand said that it opted for the black and white designs because they fit with the company’s general color themes, because they believe the classic colors will have greater and longer-lasting off-court appeal for fans, and because they won’t distract from vibrant All-Star sneaker colorways. There was a time when NBA ASG design was a lot more intricate and experimental. If you look at the splash, you’ll note the uniforms worn in the 1995 and 1996 All Star Games. Not everyone loved them (I liked them then, I LOVE them now), but others hated them. No matter what your opinion, though, everyone had one — there was no mistaking those uniforms. I’ve been corresponding on Twitter for a while with the man responsible for those uniforms, Tom O’Grady. I asked him more than a month ago if he could give us a bit of a rundown of not just those uniforms, but of his entire time when he was tasked with designing NBA All Star jerseys. His work spanned the 1990s through the early 2000s, and I asked he focus on the 1995 and 1996 uniforms, as well as some of his other work. He happily obliged. I joined the NBA in June of 1990 as the League’s first official creative director with the mission of building a Creative Services group to rival growing NFL, MLB and NHL in-house divisions. My boss, Rick Welts, who was head of NBA Properties at the time challenged me with looking at everything the League was doing with their brand identity and graphic design efforts. My initial focus was analyzing how the NBA was visually presenting their special events, especially NBA All-Star Games. The 1991 Charlotte NBA All-Star Game look had just been introduced just before I started and the ASG court and team uniforms for the game were in production so I could not directly affect the look and feel of the event that February. We were able to use Charlotte Hornets teal and purple in the cover of the official NBA All-Star Game program cover but that was the only element using the team’s primary colors. One of the things that struck me about many of our previous NBA All-Star Games was the very dominant use of NBA red and blue for all All-Star game uniforms, courts, logos and collateral materials. After the Charlotte All-Star Game ended, we reconvened with NBA Special Events, NBA Licensing and with Commissioner Stern who agreed with our recommendation to move away from standard NBA red and blue and move to use a team’s primary colors which would bring a more local marketplace flavor to all events and adding fan appeal for event merchandise. Beginning with the 1992 NBA All-Star Game in Orlando, our creative team incorporated the Magic’s royal blue, black, silver colors (along with red and blue) for the event identity. This paradigm shift radically changed how the League now brands its’ NBA All-Star games and other NBA International events so commonplace today. The 1992 Orlando All-Star Game event look and feel using the Magic’s team colors was a big success from a visual standpoint. Today, every NBA All-Star Game features the hosting team’s colors merged with indigenous symbolism and historic relevancy when appropriate. Our NBA creative team used the same event branding formula for both 1993 and 1994 All-Star Games with similar success. For the 1995 NBA All-Star Game in Phoenix, we challenged ourselves to visually surpass what we had done for the past four All-Star Games and Phoenix would prove to be an excellent venue to push the envelope. Our success designing the wildly popular Phoenix shooting Suns logo and uniforms back in 1992 allowed our creative team full reign setting a new visual bar on pro basketball event branding. Our design approach was to “peel apart” the 1995 ASG primary logo and apply each graphic across every brand element for the All-Star Game. We repurposed the leaning cactus, the whimsical star, the Aztec-style pattern, the setting sun basketball graphic and popular gecko secondary logo (which was featured prominently on the court) which all provided a highly cohesive look for the three-day event at America West Arena. …on Jimmer Vilk’s All Time Best List? Last year, I had asked Jimmer Vilk, he of the 5 & 1 list, if he’d give me an NBA Top 5 and One bad list. Only he couldn’t limit himself to just a five ‘n uno. Nay, he went three times further — a 15 and 3! Two years ago I set out to make the most time-spanning Best All Time All Star Game Uniforms list there is. One can only span so far, though, in the confines of the usual 5&1 format. Thankfully Phil gave me three times the space today so I can get even more comprehensive as you try to comprehend my tastes. 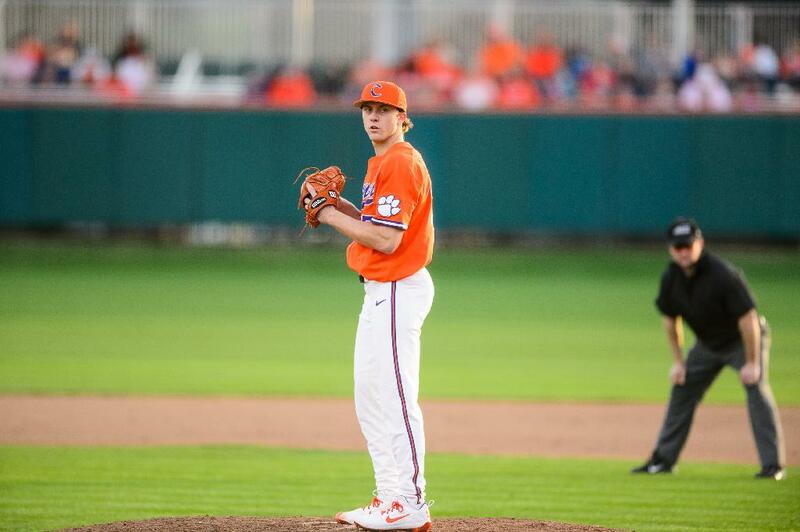 I actually liked the previous year’s unis (we’ll see them later). My tastes kind of drew a line in the sand with them, however, and this year’s crossed that line. The number font just plain bugs me. Then there is the jalapeno. Change that into a carrot and you’d have the uni the Tune Squad should have worn in Space Jam. Not even the trim or the teal could save this look for me. What is this, the MLS All Star Game? I don’t like the lack of front numbers, and I REALLY don’t like how the West’s red and blue didn’t contrast enough. On the plus side, at least there wasn’t an ad patch on the jerseys. Welcome to Rock Bottom. The numbers are too small, the lettering is WAY too busy…and seriously…who thinks it’s a good idea to have one team with an all-white front and the other team with an all-white back? Even if this game was on free TV I wouldn’t have watched that mess. Ah, the charming simplicity of the inaugural unis. It’s really all you need, though, especially in a game that wasn’t televised. I wouldn’t wear the Chuck Taylors those players had, but I’d wear those uniforms. The first of the host team-themed unis, and they started out with a great one. If the Warriors ever host another game I hope they do something similar with their new bridge logo. Sublimation can be fun. I like the nice big numbers and the fonts. I also like how they didn’t go overboard with the stars on this set. It’s as if the New York Rangers collided with a mid-60s NBA All Star uni. My only quibble is that the numbers could’ve been bigger. I have great memories of watching this game, so I thought it would have ranked higher. The picture you see of Kareem, though, shows why it isn’t. 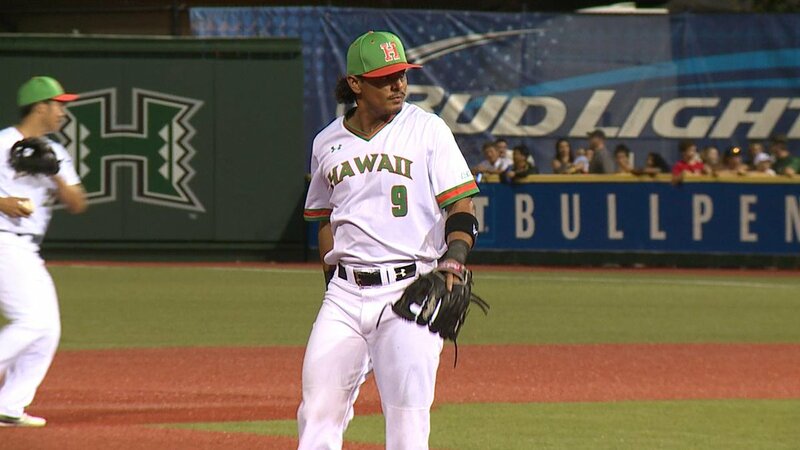 They should’ve accounted for his name when designing these otherwise nice unis. Even Doc’s name makes a great case for putting names under numbers. Apparently I have a thing for diagonals. Even quirkier than 2004, this has the East going up and the West going down. If Future Me ever does another list, don’t be surprised if this one ranks higher. I can’t believe this one is ranked so high. And yet it is. Actually when it first came out my reaction was different, but back then I didn’t know the NBA had a long history of host-themed unis. Present Me joins ’95 Me in loving that font, though. Another one with great fonts. 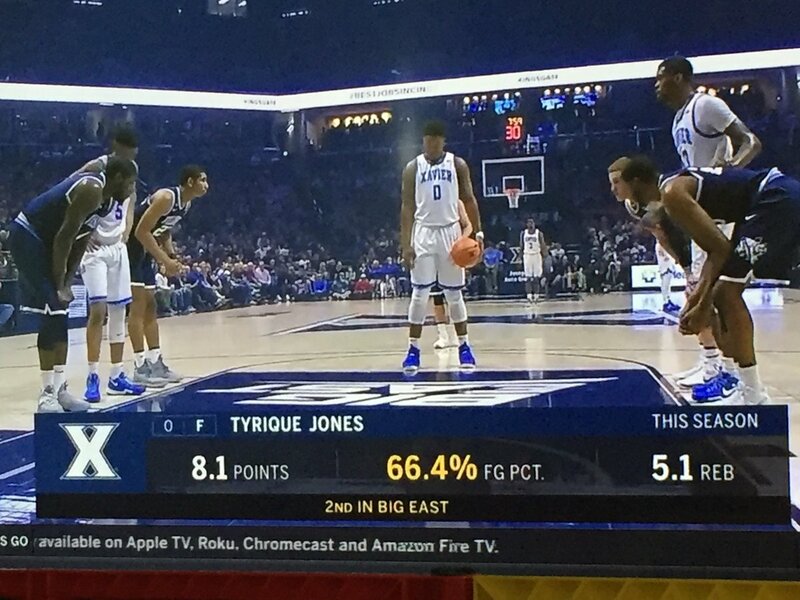 I would’ve liked it more if the West had better contrast with the numbers. Hard to believe this futuristic-looking uni is now 11 years old! This was my #4 two years ago. I still love the thought of Celtics stars having to wear Lakers colors. This was my #5 two years ago, but that crossword puzzle look is really growing on me. I may have to DIY an Artis Gilmore Western Conference shirt someday. I don’t know if they were going for hot desert days and cool desert nights with those unis, but that’s the impression I got. The fonts and the subtle phoenix trim were more reasons to love this set. And, like 2012, the KC Kings fan in me loves names under numbers. Yes, this is 1981. Sports Illustrated and SI Kids say the 1980 unis were used in ’81 but they weren’t. I know because I was there and so was CBS Sports. I love the non-serif block font, and even though there’s a lot on there, everything is just so perfectly proportioned. If you watch the video, you’ll see they even got Kareem’s name to fit without any problems. As I used to say years ago, I don’t consider this THE list…it’s just my list. My opinion is invalid no better than yours, so let’s hear your picks in the comments. Thanks for your time, and enjoy the game! It’s been a long four years since the original Mr. “5 & 1” — Jimmer Vilk — gave us a Winter Olympics rundown. He’s back for a couple of 5 & 1’s this time around: today, he’ll give us his rundown of the outfits sported by the “Pairs” figure skaters, and next weekend he’ll be back with the outfits worn by the ladies for their programs. Greetings, fellow Olympic fans! Hard to believe it’s been four years, but we take to the ice once more to see who medals in what *really* matters, the uniforms costumes. These two warmed my heart with a very Valentine-y look. I have a rule against skaters who dress exactly the…WHOA…never mind…that outfit uniform is an awesome exception. If I don’t go as the mustachioed Norwegian ski jumper for Halloween, I may see if The Wife and I can go as this couple. Very classic in the front, very cool dragon on the back…winner. And my least favorite: Evgenia Tarasova and Vladimir Morozov, Olympic Athletes from Russia. I didn’t see this pair on TV…guessing they skated to the theme from Nightmare On Elm Street? See you after the women’s free skate! Two quick reminders from Paul: Hi there. In case you missed it a few days ago, I’m running a Jags-redesign contest over on ESPN. Deadline is Friday. Full details here. Also, my latest Friday Flashback piece on ESPN is about how the Reds and Dodgers have been particularly innovative with their spring training uniforms. You can check that one out here. We now return you to your regularly scheduled Phil-o-rama. This sort of thing is usually in Paul’s domain, but I wanted to alert you guys to a pretty incredible on-line auction which will be taking place TODAY, February 18, 2018. As you can see from the above teaser photo (you can click to enlarge), the auction will contain lots of baseball related art, featuring the work of Gerrit Beneker who, as many of you may already know, was an illustrator who did many Baseball Magazine covers. Included in the auction are original cover studies for Baseball Magazine, some with the corresponding proofs. It’s a true treasure trove. The full collection (which includes some non-baseball art as well) can be found here — the baseball art/collection are lots 72-103. These pieces deserve to be in the hands of true collectors. James R. Bakker Antiques, Inc. will close their Winter Annual Fine Arts online-only auction on Sunday, February 18, 2018 starting at 1pm. The recent rediscovery of a box containing over 100 unframed original oils, watercolor cover studies and color proofs by artist Gerrit Beneker offers a rare opportunity for collectors and scholars alike to glimpse into a time capsule showcasing the artist’s talent and creativity as one of America’s top illustrators of the early 20th century. Gerrit Beneker was born in Michigan in 1882 and came to Provincetown in 1912-13 to study with Charles Hawthorne. Beneker was trying to earn a living as an illustrator in New York at this time. Handwritten notes on these works also further document various moves from Poplar Street in New York to Arlington, New Jersey to his summer residence in Provincetown and ultimately to living on Cape Cod year-round. These notations on his original advertising and cover studies also reveal artistic and editorial changes with the final design and colors as revealed through several color proofs and published magazines included in this auction. Beneker continued to make good use of the skills he learned from Hawthorne throughout his career. Victory Loan poster, Sure We’ll Finish the Job published in 1918. Beneker was a great champion for the American worker and the auction offers many examples from construction workers to workers on the docks and assembly lines. A watercolor study for the poster of the Industrial Exposition sponsored by the Board of Trade of the City of Newark for which he was awarded 2nd Prize in 1914 will be sold to the highest bidder. From his opera stage designs for Tosca and Madame Butterfly to Santa Claus, there is something for everyone in this auction. Gerrit Beneker died in 1934. Even if you don’t want to bid, I urge anyone with an interest in this to take a look — there’s some great non-baseball artwork in this as well. Hockey News: The three Stastny brothers (Anton, Marion and Peter) who played for Czechoslovakia at the 1980 Olympic Games, had inconsistencies with the placements of their first initials (from Bill Kellick). Also posted in Olympics. … I don’t have any context for this, but it looks really bad: Tampa Bay Lightning #62 Andrej Sustr had his visor broken in half last night, resulting in a rather bloody scene (from Al N. Kreit). … A Chicago police commander was killed this week in the line of duty, and his funeral was today. The Blackhawks had a jersey to honor him (from Mike Chamernik). NBA News: Looks like Calvin Murphy has his own custom made Hall-of-Fame cap (good spot by Ignacio). … The uniforms worn by the NBA “Rising Stars” were a hell of a lot better than those which will be worn by the All Stars today. Here’s a look at some of those. 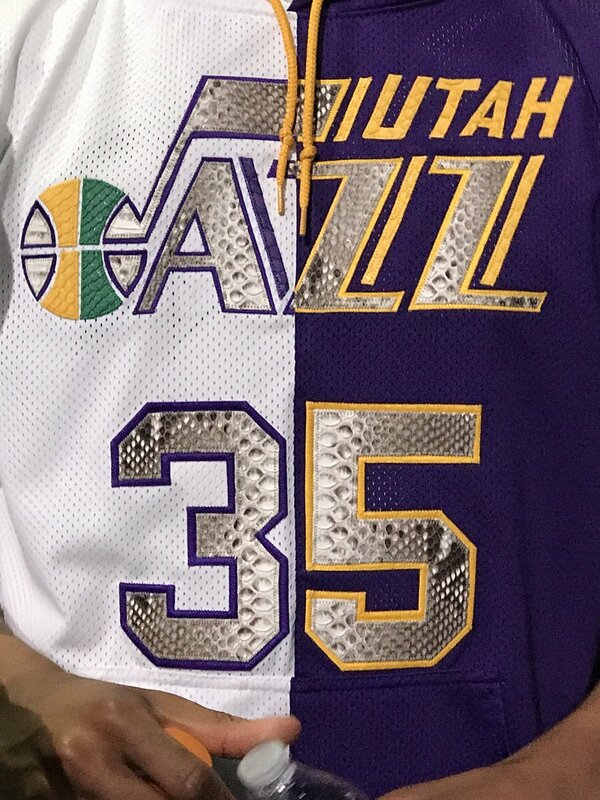 … Yesterday’s slam dunk contest participant Donovan Mitchell was wearing a custom jersey sweatshirt with “python” numbers & lettering (from Robert Hayes). It was a tribute to Dr. Dunkenstein. … At least we know the uni is new: Joel Embiid failed to remove the tag from his shorts (from Priyesh Ved). Here’s a still shot (from @NYYDJ2 – Cole. And here’s a bit more on that (from Mike Chamernik). … Some of the jerseys worn last night appeared to be ad-free, at least in the photo shoot (from Ben). Also, all of the dunk participants wore their City second alternate uniforms (from Cole Pessolano and also Jacob Gibb). … Here’s another ad free portrait (from Steve Sher). … And they were ad free on the court too (from our own Anthony Emerson). College Hoops News: Lots of good court/arena tidbits in this piece about the University of Cincinnati playing at Northern Kentucky this season (from our own Alex Hider). 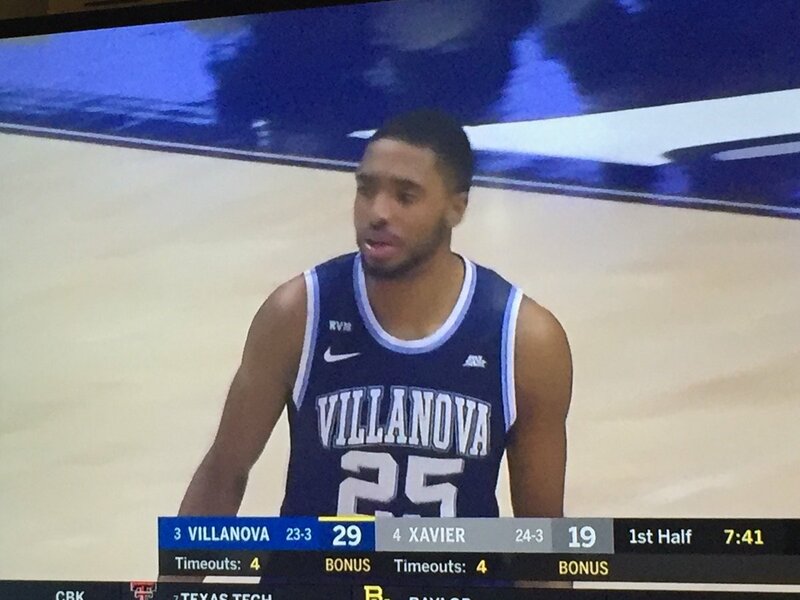 … Yesterday both Xavier and Villanova wore throwbacks in a game against each other (from Wyatt). … Some color vs. color games really shouldn’t take place: for example, this Colorado State vs. Fresno State tilt — that must have been very difficult to watch. 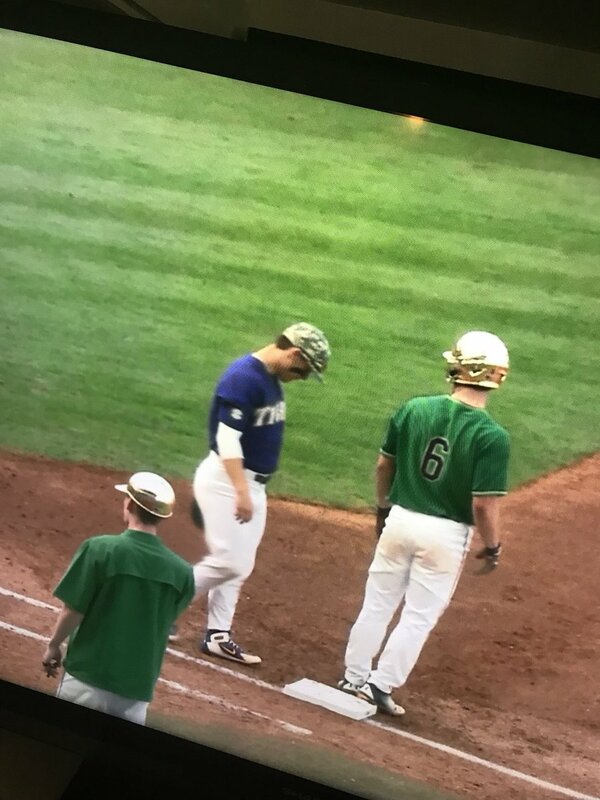 … Kansas State went BFBS at home on Saturday against Iowa State, who wore their gold (yellow) alternates, creating a color-on-color matchup (from Kary Klismet). Soccer News: I’m not sure if this has anything to do with the Chinese New Year, but yesterday, Paris St. Germain players had these for their NOBs (from flow). Here’s the tweet. … “Noticed on the @fcstpauli_EN Instagram story that Ingolstadt painter (sic.) their lines orange in the 2nd half due to snow,” says Iain McHugh. “Anyone seen that before?” … Apologies if this has already been posted, but Spain’s second kit for the 2018 World Cup in Russia may have been leaked. Olympics News: From our own Alex Hider, here’s a slideshow of the coolest helmets from men’s & women’s skeleton. 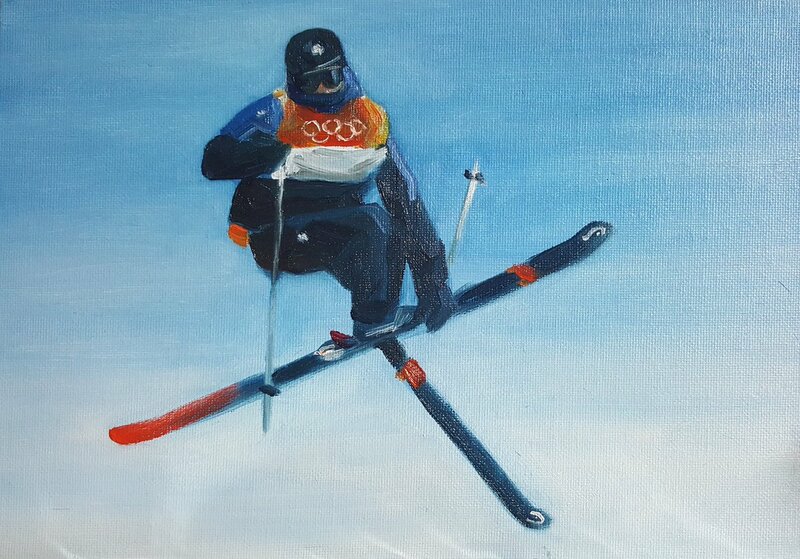 … In case you missed it, yesterday I featured the artwork of artist Andy Brown, and now Andy has captured slopestylist Izzy Atkin, who captured a bronze medal for GB. … The three Stastny brothers (Anton, Marion and Peter) who played for Czechoslovakia at the 1980 Olympic Games, had inconsistencies with the placements of their first initials (from Bill Kellick). Also posted in Hockey. … You’re probably already aware of this, but there is an awful lot of technology at these Olympics, and it’s not just in the jackets and suits the athletes wear. … This ESPN piece notes that Curling “is the darling of the Olympics” but you knew that already (thanks, Brinke). 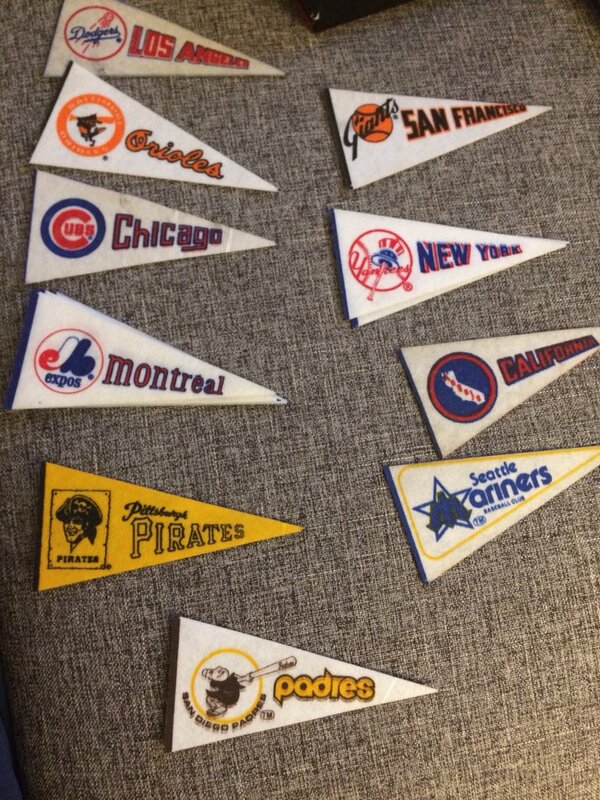 Grab Bag: This is VERY cool — A unique aspect of understanding the history and origins of pennants is to know what companies manufactured and distributed them. Check out this Trench Manufacturing corporate history identification guide (from Mike Vanne). … Dozens of students and faculty members are not happy with College of the Holy Cross leadership’s recent decision to keep the school’s “Crusader” nickname, saying in a letter to the administration they want the school to move away from the moniker’s controversial associations (from Anthony Nuccio). … These next two both come from Zachary Loesl: Derek Fathauer has a unique belt design during the Genesis Open, and Bubba Watson was wearing a shirt with a camouflage design, also during the Genesis Open. Browns and Vikings helmets are also incorrect on the SI sheet. “Sic” isn’t an abbreviation; it’s Latin for “thus”. No period necessary. Seahawks, Panthers, and Cardinals also have the wrong helmets. It was really nice to see the NBA jerseys without ads for one night. 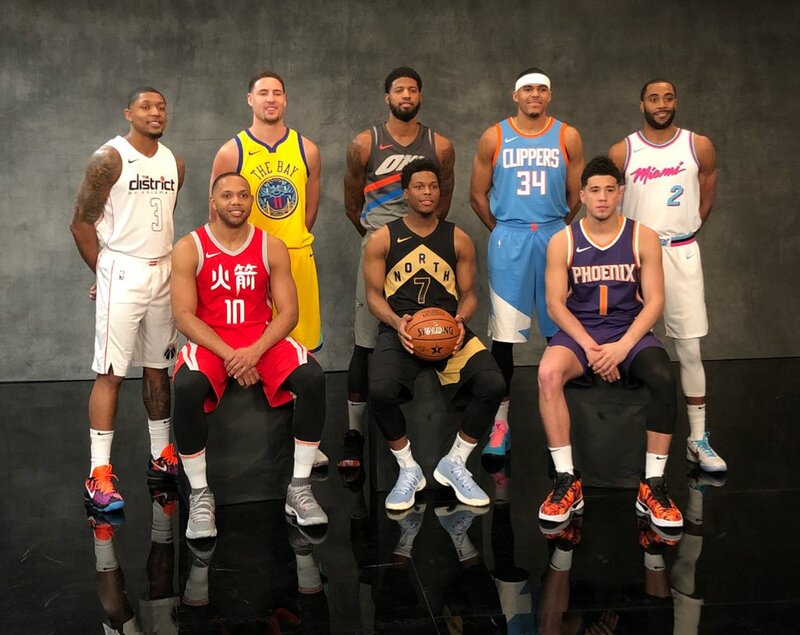 Also, Devin Booker was the only player in all three events who didn’t wear his team’s second alternate look, instead opting for the normal purple Phoenix uniform. Looks like that belt design is a beer can design. Not even close to being close. Best All Star uni is #15 on your list. Although I am curious as to whether the 2018 ASG uni cracks either your good or your bad list. It’s tied with the 2014 uni. Bleah. Black is not a Kansas State school color. Why does every Kansas State team except football think black looks good? It doesn’t. Curious that the lede stops with the 1996 game and doesn’t go into the 1997 game going with team uniforms instead of game-specific designs. Wasn’t just the NBA All Star uniforms pushing the envelope in 1995 and 1996. When I think of 1995-96 NBA season, we had new primary uniforms pushing the envelope from defending champ Houston, Atlanta and the expansion teams in Toronto and Vancouver. In 1992, the all-star uniforms were still blue and red. What Orlando Magic colors did they use? No one would ever doubt the depth and knowledge that we UWers display! 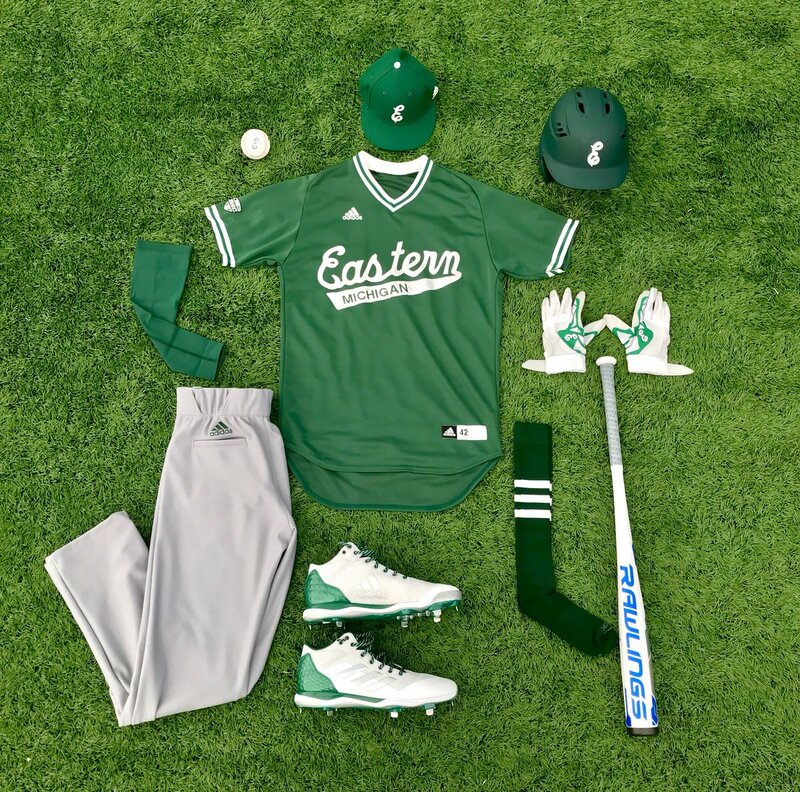 What is going on with the bat in the Eastern Michigan photo? Is it flat on one side and round on the other? I love Jerry West having his NOB and NOF. 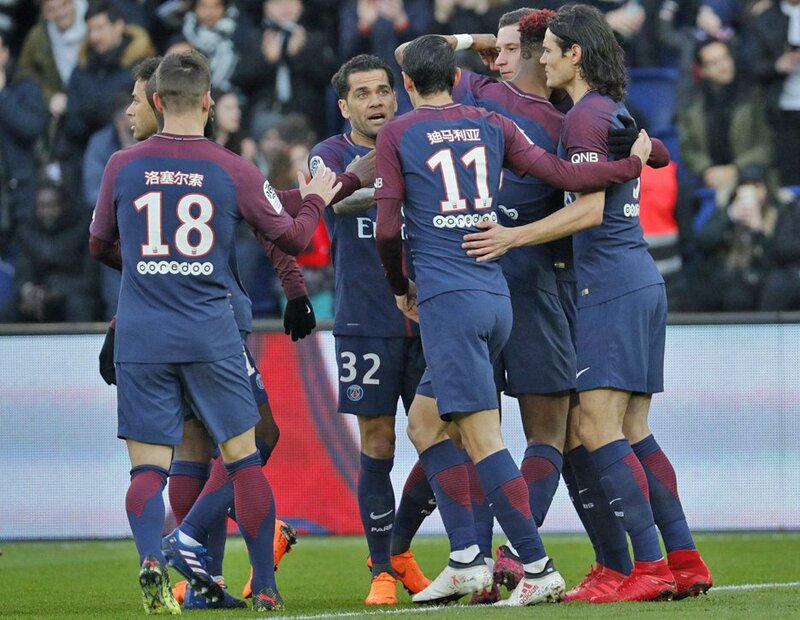 Hi Phil, about the PSG Chinese NOBs, yes that was indeed in order to celebrate the Chinese New Year, the club also held various related activities in the stadium before the game. Interesting comparing the Dr J and Sikma unis – Doc seems to have a few more stars around the arm/shoulder.